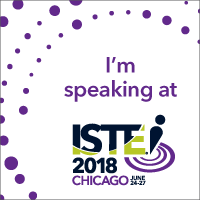 I came to this for obvious reasons, but also because I want to encourage my students to start creating podcasts next year. When I mentioned this, they were excited, so I thought my time here could be well used for that purpose. 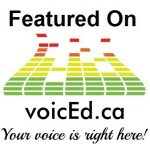 I’m also toying with the idea of creating a school-based podcast to replace my weekly email updates on edtech. All that to say I have high hopes for this Snapshot session. This session is being presented by Allison Keskimaki and Eric Spicer, both of Lansing, Michigan. They say that they have started a podcast for their district to provide support in technology implementation. They start with some of the basics, such as the microphone, the recording location, and the storage/distribution medium. Their podcast is unedited, raw audio. They then moved into convincing teachers to listen. They talk a little about training the staff and email blasts to everyone, but say that the email definitely didn’t work. They then said that they started with getting them to listen to their podcast and move from their to suggesting others. Interesting, because with my staff I’ve been moving the other direction. I suggested some favorite podcasts to my teachers (not my own) and then hope they will move beyond that to a school based one or maybe find mine. For an educational podcast, 10-12 minutes is the sweet spot. People are concerned about audio quality. These snapshot sessions are only 30 minutes long, so while what they gave was good, there wasn’t a lot of it. Not their fault, but I felt like giving them 10 more minutes for Q&A would have been nice. Maybe they’ll be back next year. And since my last session takeaway was sketchnote, I made this. I may actually be getting worse. 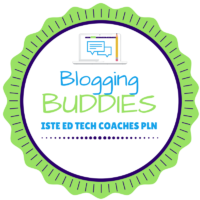 #ISTE17 – 60in60 Edtech Game Show!